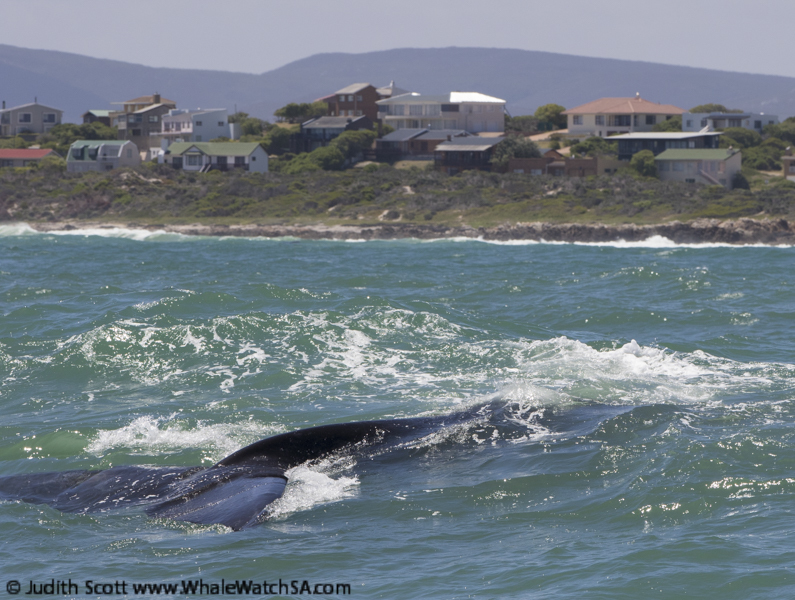 It was blistery morning here in Kleinbaai this morning as we depart on our first whale watching tour of the day. 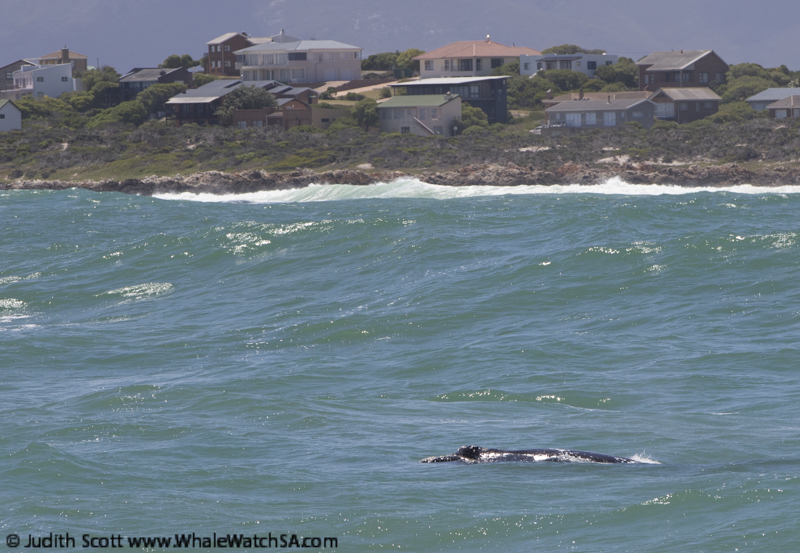 We were tipped off initially by other members of staff that there were a few mother and calf Southern Right Whale pairs floating around in pearly beach. 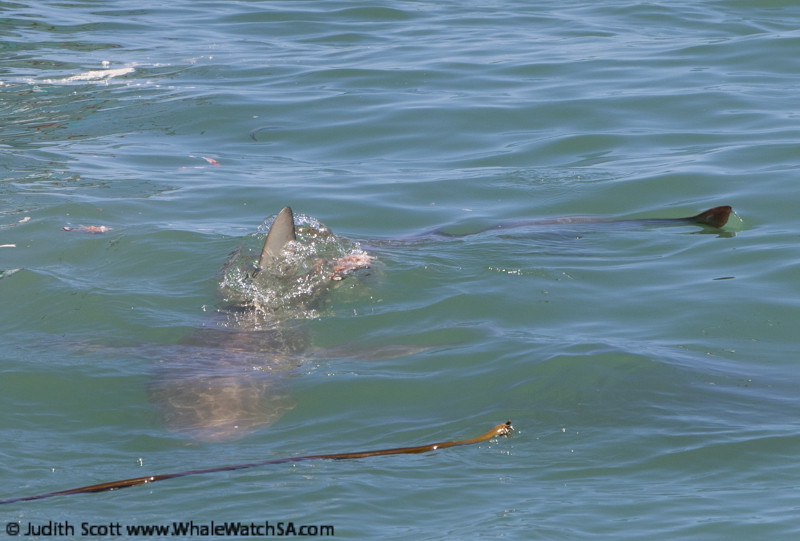 However, before we set off to find them, we stopped in the shallows to try get a glimpse of one of the oceans most awesome predators. 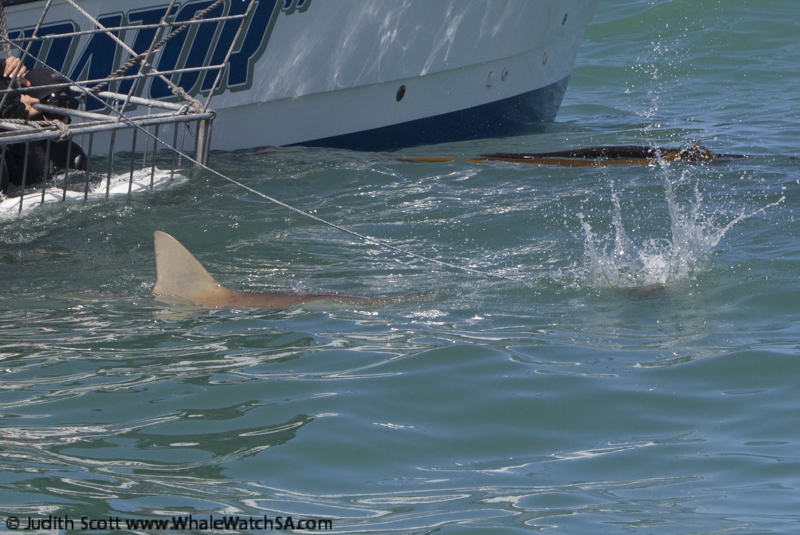 Within moments our guests were treated to the sight of a bronze whaler shark passing by one of the cage diving vessels that operate in the area. As we headed off towards pearly beach, a lone juvenile African penguin was swimming around De Clyde Reef, this little guy was quite shy, so we gave him his space and moved off. Once at pearly, we came across at least three mother calf pairs. It took us some time to work out which pair to watch due to the swell, but eventually we approached a pair. The calf in this pair was particularly stunning, displaying a black and white colouration. 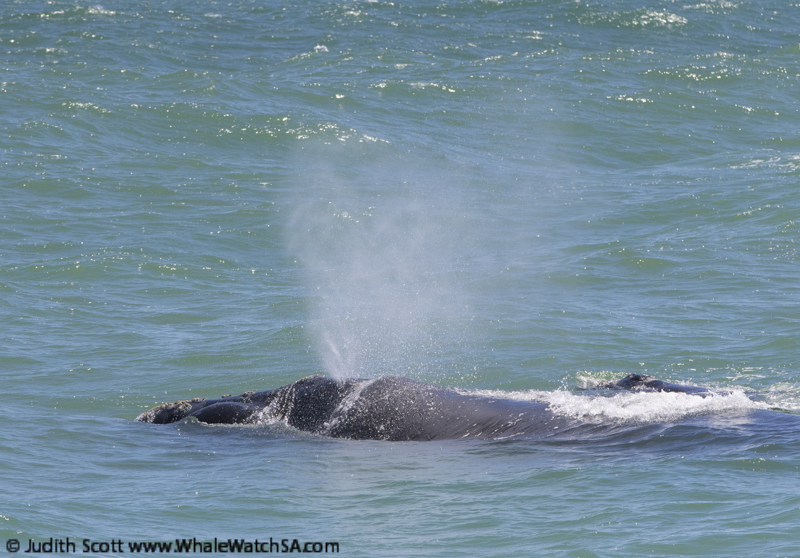 Right Whales with these markings are often referred to has ‘half brindles’ or ‘partial grey morph’. As this whale matures the white markings will become grey. This particular pattern is always indicative that the calf is a female. After some awesome sightings we moved on towards Dyer Island where we found another species of whale, the Bryde’s Whale. Often very difficult to watch we left this whale and continued on our sea safari. 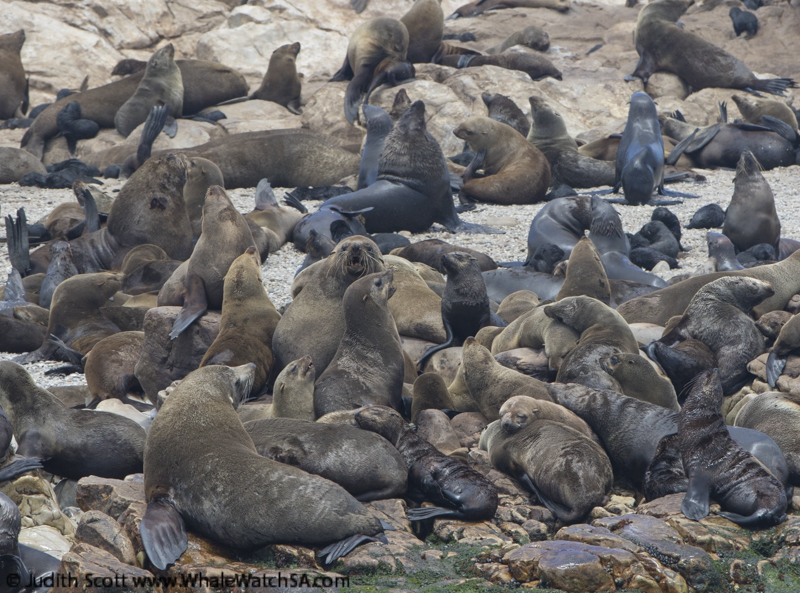 Once in Shark Alley, we passed bay Geyser rock (southern Africa’s fourth largest seal colony) which was teaming with the new born seal pups, the favourite food of the great white shark. 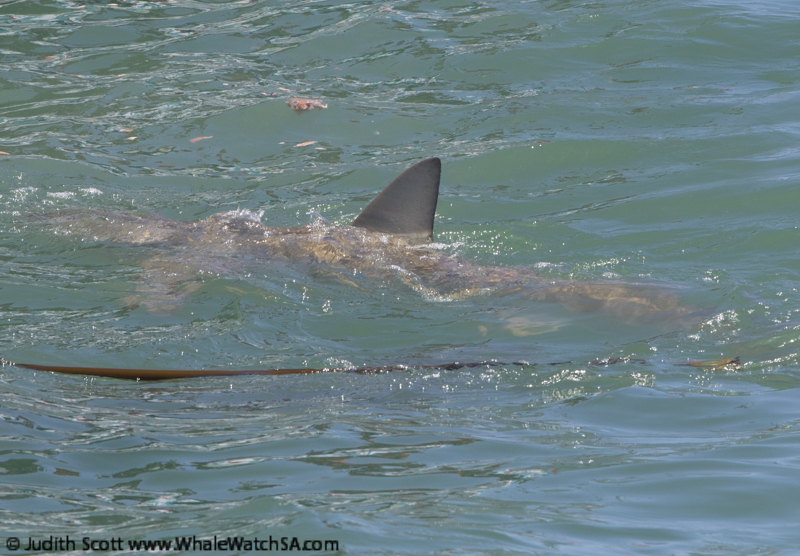 After a quick stop at the island, we headed home for the harbour, ticking off 4 of the marine big 5. The second trip began with a rare sighting of an Indian ocean humpback dolphin, the rarest coastal cetacean in southern Africa. The dolphin however, was quite elusive and we only saw him surface a few times before moving to the cage diving site once again. 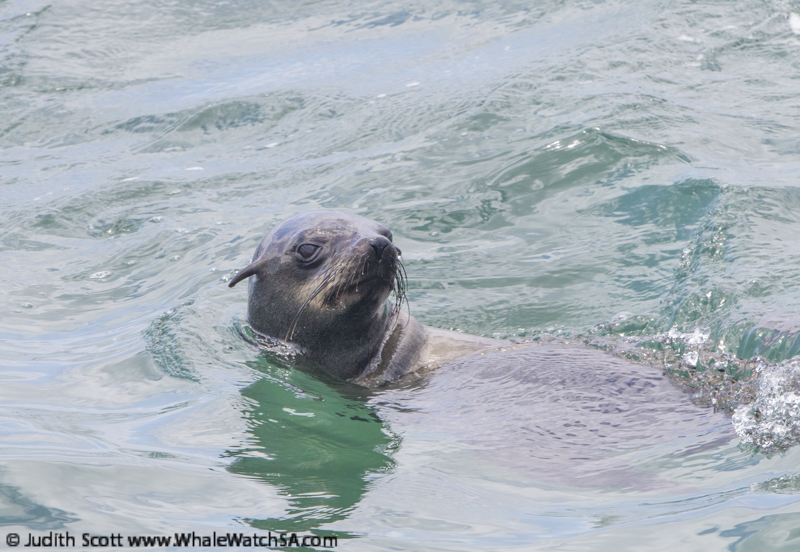 Once at the site, there were a few different bronze whalers around providing excellent views of the animals to both clients on Dream Catcher as well as our sister company vessel, Marine Dynamics. 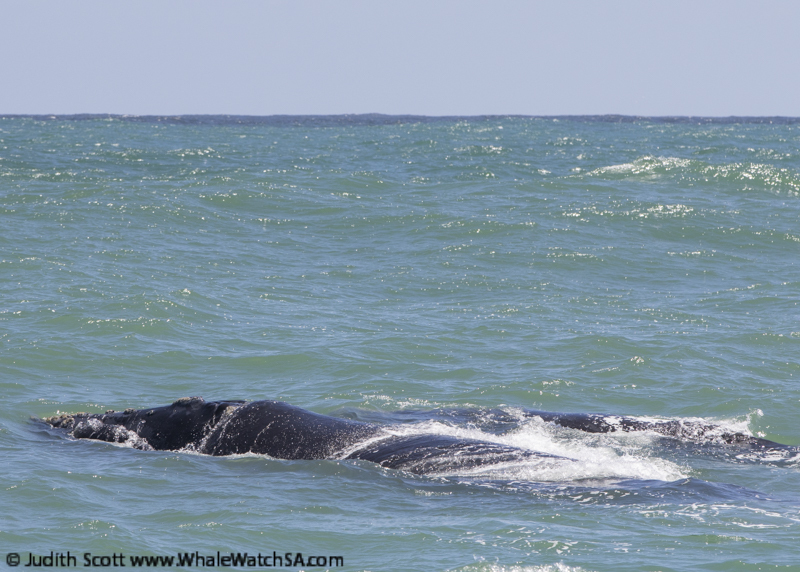 We soon moved from the cage site as not to disturb their operation and headed towards where we had seen the mother and calf southern right whale from the previous trip. We had no trouble finding them and were also greeted by another pair a bit further away. The mother and calf were quite inquisitive and not disturbed by our presence at all. After a long time watch the two animals, we said goodbye and also headed for Dyer Island. At Geyser rock the seals were ready to great us again and show off for us both on land and in the water. 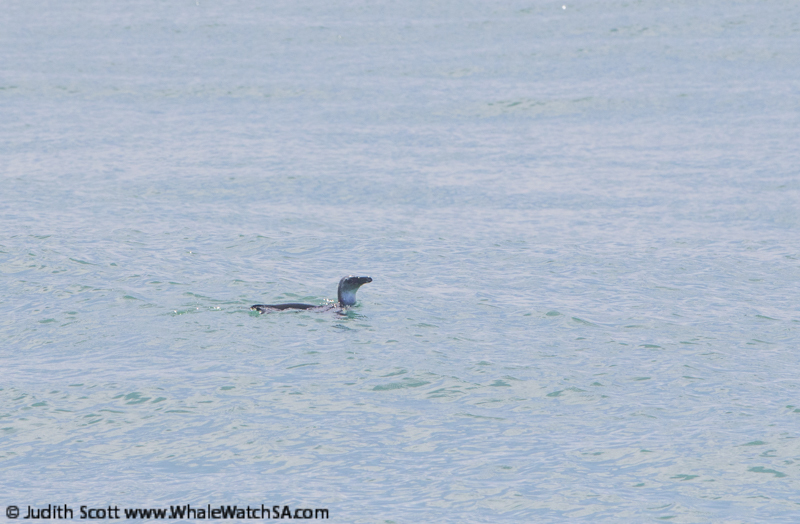 After some great views of the seals we headed into sponge bay at Dyer Island for a glimpse of an African Penguin. In the bay we spotted a few penguins on the rocks amongst all the cormorants. 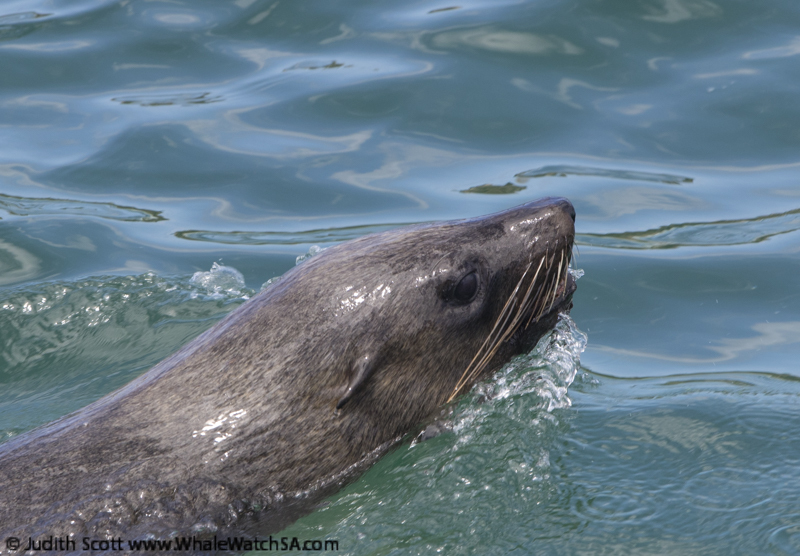 One this trip we completed the marine big 5, wrapping up an awesome day at sea with some amazing sightings.